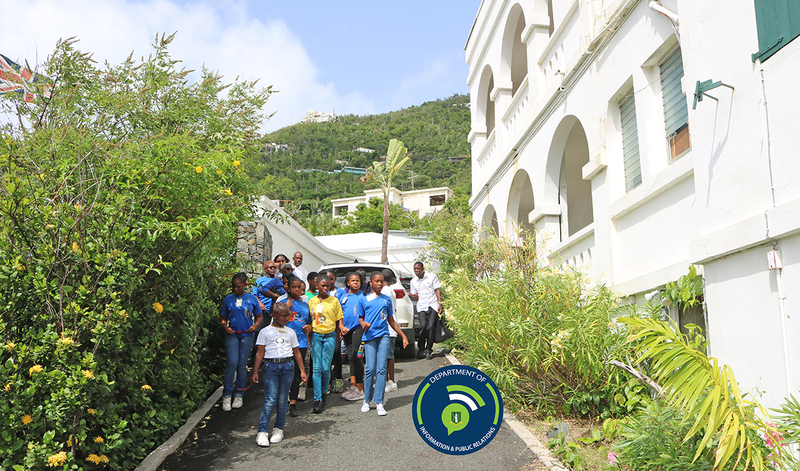 Students from the Youth Empowerment Programme( YEP) are featured as they spent a day at Government House as part of His Excellency the Governor Augustus J. U. Jaspert’s community outreach programme. 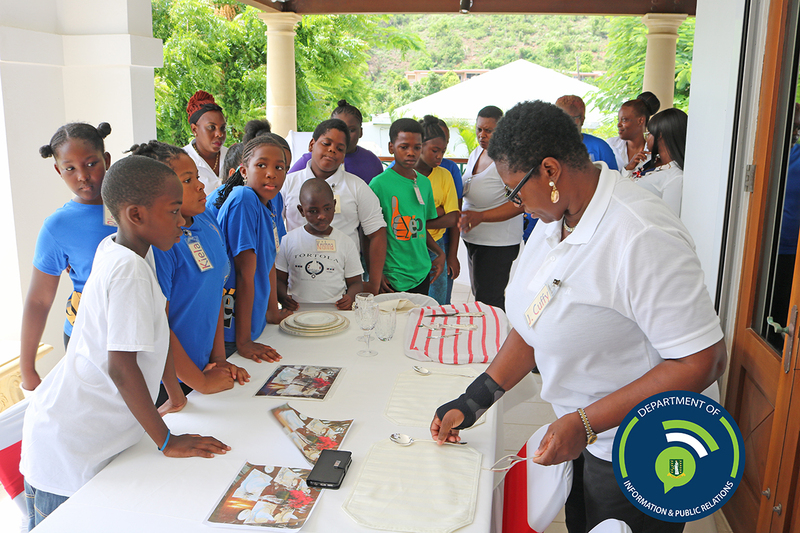 Ten students along with their instructors toured the Government House grounds, learned tips on meal preparation, introduction to health and safety in the kitchen and received a table setting demonstration. 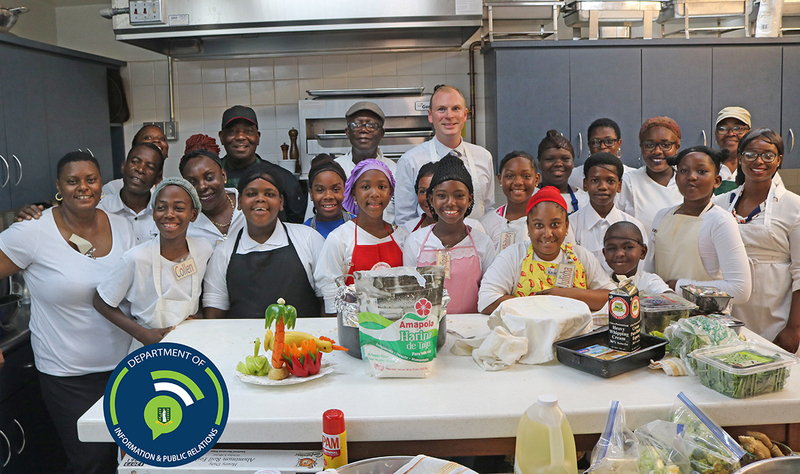 Governor Jaspert explained his role as Governor and the Government House Chef together with the assistance of a visiting Guest Chef from Guana Island prepared lunch with the students which they served to their parents. The highlight of the day was the bread-baking class with Governor Jaspert who taught the students the step by step process of baking bread. The children received a certificate of participation and had the pleasure of being treated to a fun-filled pool party. The day’s activities were a part of the Governor's priorities for 2018 which include working with non-profit organisations and giving back to the community.